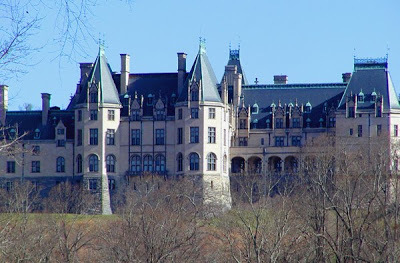 The entrance to Biltmore Estate in Asheville is a short 20-minute drive from the Inn on Mill Creek. During the winter months, you have the opportunity to enjoy Biltmore’s house, winery and activities on the estate minus the high season crowds. We’ll be continuing to offer a $10 discount on tickets for our guests and those tickets are good for two consecutive days. That means you can head to Biltmore for two full days for just $30 per person now through March 18. And there’s a lot to do there, even in the wintertime: Tour Biltmore House (with 175,000 square feet on a 4-acre footprint, you’ll be impressed just by the house itself), take a tour of the Winery and attend one of the red wine and chocolate seminars there, have a fantastic lunch at one of the restaurants on the Estate, and get some great gardening ideas in the Conservatory.